In order to pass the torch, one must first light the fire. The Ninth Indigenous Anglican Sacred Circle began, as had many of its predecessors, with the lighting of the Sacred Fire. 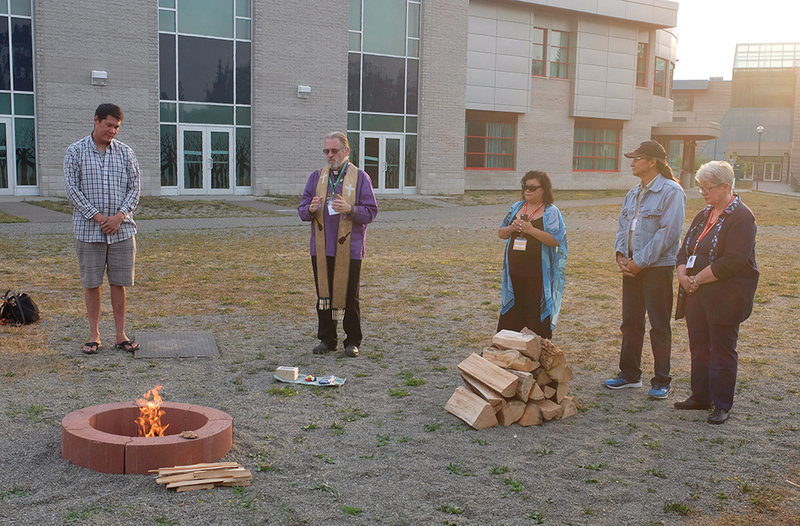 As the sun dawned over the University of North British Columbia campus in Prince George, B.C., delegates gathered in the cool morning air to witness the symbolic opening of their meeting, embodied in the flame that served as a reminder of the presence of God—and of the mission that brought them there. The dream of a self-determining Indigenous church within the Anglican Church of Canada is closer than ever to becoming a reality. 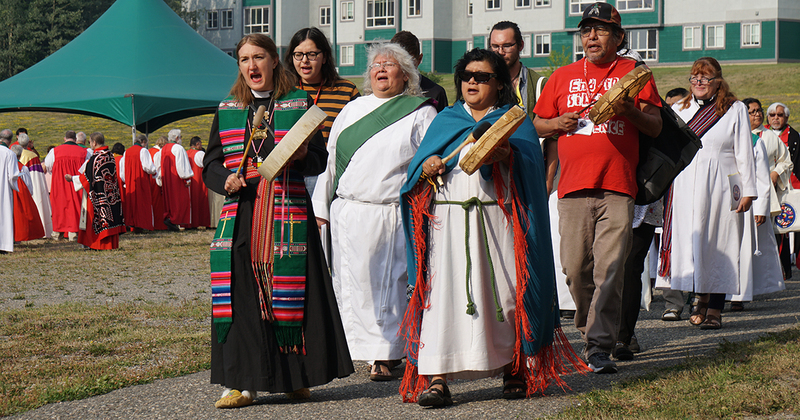 With the Sacred Fire burning bright and the sounds of songs and drums inspiring those gathered, a procession of delegates, partners, bishops, and youth moved from the fire outside into the university Conference Centre, where the work of realizing the vision of the elders continues. In his sermon at the opening Eucharist, Archbishop Fred Hiltz, Primate of the Anglican Church of Canada, recalled a significant anniversary. On that very day 25 years earlier, Vi Smith, “a great Indigenous woman who was a faithful follower of Jesus”, stood up at the closing Eucharist of the National Native Convocation and accepted the apology of then-Primate Michael Peers for the church’s role in administering the residential school system. As I listened to Archbishop Hiltz recite words from the apology detailing the horrors of the residential schools, I experienced a familiar surge of emotion. 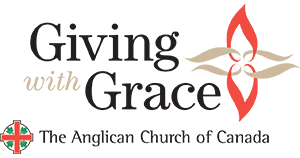 Three years ago, in my capacity as web writer for the Anglican Church of Canada, I attended the closing events of the Truth and Reconciliation Commission in Ottawa, Ont., where I spoke to residential school survivors and was moved to tears by their stories. The accounts of children torn from their families, subjected to rampant physical, sexual, and emotional abuse and the attempted destruction of their language and culture, reflect unspeakable trauma, but also the strength and resilience of survivors. Now, invoking the gospel and his predecessor’s words from the apology, “more than I can say”, Archbishop Hiltz suggested a new phrase underscoring the continuing relevance of Archbishop Peers’ apology in 2018: “more than ever”. The Primate urged Anglicans to be determined in their efforts to educate the church about the lingering impact of the Doctrine of Discovery, to honour the Calls to Action from the Truth and Reconciliation Commission, and to make good on our church’s public pledge to uphold the United Nations Declaration on the Rights of Indigenous Peoples. He gave thanks and prayed for continued support to the Anglican Healing Fund. He asked members of the church to turn their hearts and minds to the plight of missing and murdered Indigenous women and girls, and to rid Canada of the crime of human trafficking. Yet even as the Primate drew attention to these issues, he grounded them and the larger journey towards Indigenous self-determination in that day’s Bible readings, making clear their inseparability from the life and teachings of Jesus. Reports from the Anglican Council of Indigenous Peoples (ACIP) and Indigenous Ministries that followed lunch were full of updates detailing new developments, such as the hiring of two part-time youth workers and two full-time suicide prevention workers. Suicide prevention had made major strides with the release of the video and booklet Suicide in Our Land. Meanwhile, various translation projects, such as the translation of the 2015 Sacred Circle video into Oji-Cree, reiterated the high priority of the revitalization of Indigenous languages. However, one of the recurring themes during this segment of the day’s agenda was the impending retirement of some key staff members. In the midst of her own report, Indigenous Ministries Coordinator Ginny Doctor indicated that she would transition to part-time as of Sept. 1, after which plans would begin to find her replacement. As he prepared to share a document on self-determination with Sacred Circle members, Bishop MacDonald recounted some of the successes that early Indigenous ministers such as Henry Budd accomplished in the 1800s in baptizing thousands of Indigenous people, before his efforts were quashed by the church sending in ministers from England who did not understand the needs of Indigenous communities. 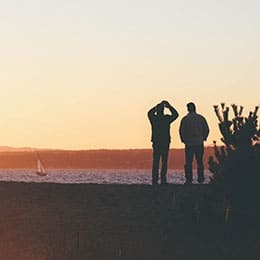 In the late afternoon, Sacred Circle received a draft version of the document An Indigenous Spiritual Movement: Becoming What God Intends Us to Be, which laid out the goals of self-determination, its meaning and guiding principles. Delegates and bishops separated into breakout groups. Taking notes for one of the breakout groups, I listened to delegates discuss their thoughts about the document. Overall reception was positive, but there was a concern about some vestiges of colonial language, which to the untrained eye might have seemed so subtle as to have gone unnoticed. Others in my group raised concerns about continuing resistance to self-determination within the institutional levels of the church, such as bishops who were worried about how it might affect the existing division of authority among ecclesiastical provinces and dioceses. Similarly, allocation of funding might be complicated by new jurisdictions. A consensus among my group was that bridging the gap with those who were skeptical of self-determination was a major goal. They noted that familiarity with the conditions faced by Indigenous people on reserves can breed understanding, which in turn can generate a desire to help. They highlighted the need to emphasize our common humanity as described in the Bible, in which all are created with equal worth by God. And they pointed out that the current conversation was happening in large part because of the growing strength through unity of Indigenous Peoples and the recognition of their rights to exist in their own way with their own language and culture, including by external organizations such as the United Nations. Though I took notes, listening intently and quietly, one passage above all in the document stood out to me: “We believe that Self-determination has the potential to deepen the unity of Indigenous and non-Indigenous Christians”. 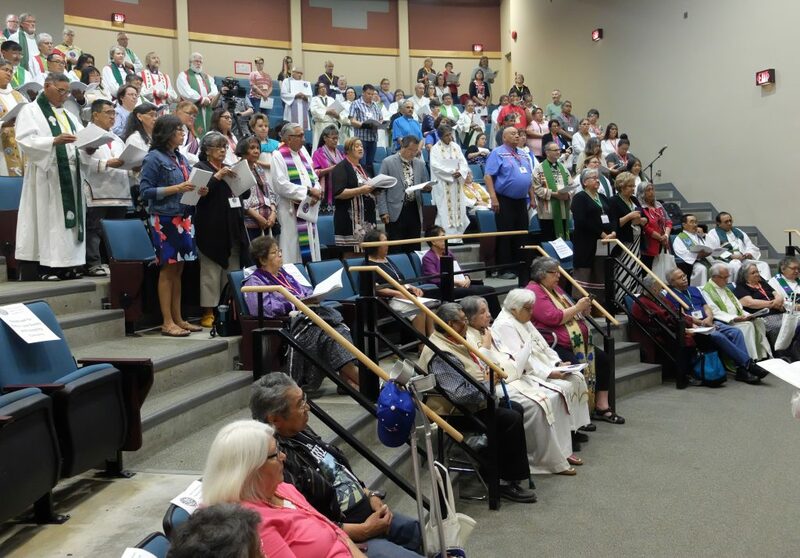 In context of the church’s historic responsibility for colonial policies, the residential school system, and the resulting intergenerational trauma, these words clarified that the right to self-determination is essential for any long-term rebuilding of trust between Indigenous and non-Indigenous Anglicans. The final item in the day’s agenda was a presentation by Dr. Martin Brokenleg, The Spirituality of Self-Determination. 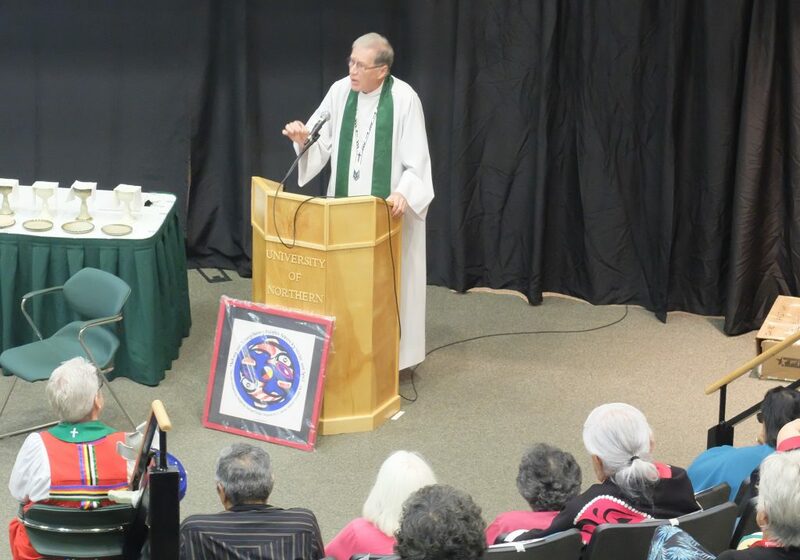 Retelling a creation myth of the Lakota, Dr. Brokenleg said that moving into an Indigenous Anglican church would be “as big a challenge as coming into this world was for the Lakota”. Drawing upon his experience as a psychologist, he noted that pushback or resistance can be a natural reaction to change even when the change is desired. When Moses was leading children of Israel out of Egypt to freedom into their own country—to use a biblical example—the hardships of the journey caused some of the Israelites to complain that they wanted to go back, even if it was to slavery. History has given each Indigenous person some level of trauma related to the colonial past and its continuing intergenerational effects today, Dr. Brokenleg said. But, he added, an Indigenous Anglican church cannot be based on emotions of trauma. Rather, Indigenous people can heal their emotional selves by relating to one another with the love and respect God gave to their ancestors. 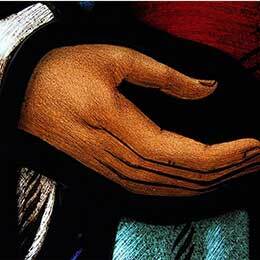 The richness and resilience of Indigenous cultures can provide unique gifts to the church. Dr. Brokenleg painted a vibrant picture of a future Anglican Church of Canada that has found its true foundation and is made stronger and more colourful, with good music and beautiful clothes in its celebrations. 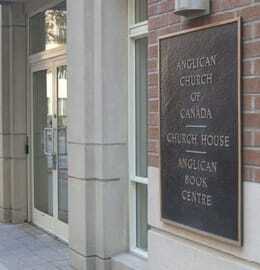 Even beyond the church, he said, Canadian culture as a whole has become “less and less religious and more embarrassed about spiritual matters … An Indigenous Anglican church can help Canadian culture recover its spiritual side.” By looking to their ancestors and to Jesus, self-determining Indigenous people could share many blessings with all. In the days to come, the members of Sacred Circle would seek to answer that question.